"We've seen discounting at ranges from as low as 10 percent to as high as around 80 percent," Chief Executive Officer Richard Gonzalez said on a conference call with analysts. "The discounting has been on the higher end of the planning scenarios that we had laid out." The highest discounting was seen in Nordic countries, Gonzalez said, adding that the company believes discounting would likely "moderate" going forward. "We do not have evidence from prior European Union biosimilar launch dynamics that the pace of discounting will slow in the second year of availability," Leerink analyst Geoffrey Porges said. "We would expect erosion to intensify in 2020, not slow. "Mylan NV (MYL.O), Biogen Inc (BIIB.O) Amgen Inc (AMGN.O) and Novartis AG (NOVN.S) have all begun selling biosimilar versions of Humira in Europe, fueling investor concerns as the world's top-selling prescription medicine accounts for about two-thirds of AbbVie revenue. Gonzalez was bullish about AbbVie's portfolio of cancer treatments and said he was confident of delivering double-digit earnings growth in 2019, despite the Humira biosimilar threat and expected higher spending to launch new drugs. "The fundamental concerns about AbbVie are about long-term growth prospects. 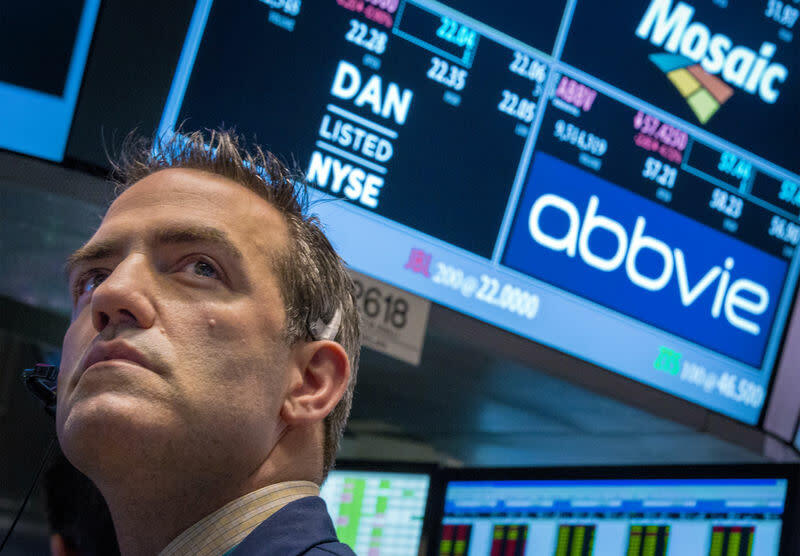 The dividend increase will make AbbVie appear more attractive, but it's not enough," BMO Capital Markets analyst Alex Arfaei said in a note. AbbVie shares were flat at $79.77, shedding some early gains following the company's Humira comments. They had climbed as much as 5 percent after the company reported higher-than-expected third-quarter earnings. Excluding items, AbbVie earned $2.14 per share, topping analysts' average forecast by 12 cents, according to data from Refinitiv IBES.